WonderCon: Booster Gold Confirmed for All-Star Western - Will They Do HEX? At DC Comics's All Access panel today at WonderCon, All-Star Western writer Jimmy Palmiotti confirmed what pretty much everyone already knew: Booster Gold will appear in All-Star Western beginning with this month's surprise gatefold cover issue. Oddly, the ComiXology solicitation that we originally based our report on has been redacted to preserve the spoiler the writer just spilled. "In the next issue of [All-Star Western], we have a special guest. Running around with Jonah Hex will be none other than Booster Gold," Palmiotti told the audience, adding that Booster will have a three-issue arc as a sheriff. He told the audience that he and co-writer Justin Gray "had a blast doing it," adding that the story is a bit bizarre. 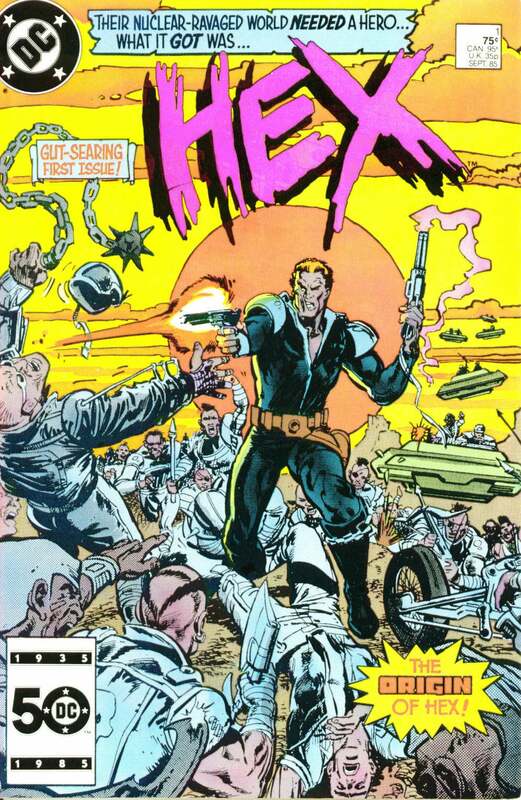 So what's with the second part of that story, which has been solicited as Jonah Hex in the 21st Century? 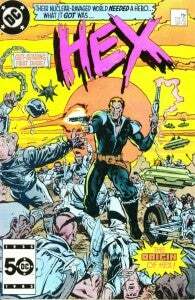 It may be that they're headed back to the Old West for the third part...but last night, Palmiotti teased something that could be interpreted as teasing a new take on HEX, the future-set Jonah Hex story that happened around the time of Crisis on Infinite Earths. "We're kind of taking the book in some wild territory," Palmiotti said yesterday. "The die-hard Hex fans will shake their heads and laugh, and the new fans will say, 'What the hell are you doing?'"